Looking from Bldg #203 towards the parade ground. 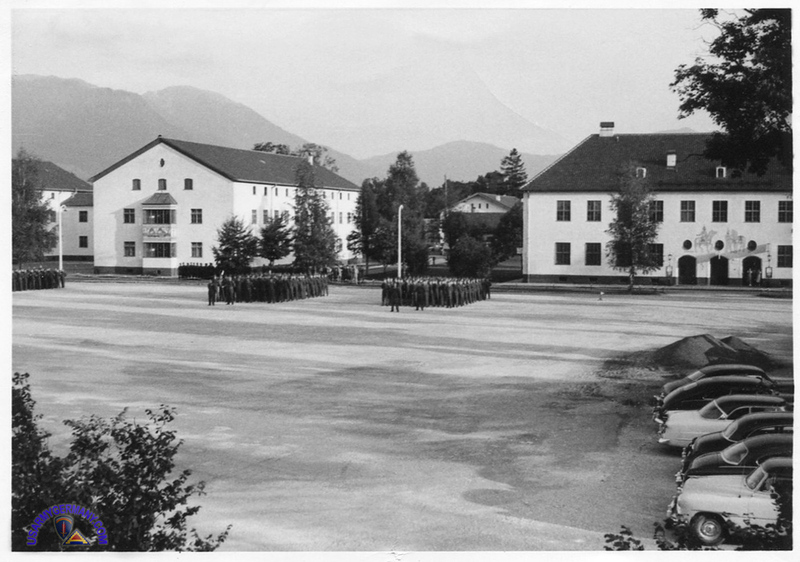 In the background, Bldg #204 (EES) on the right, Bldg #205 (Student Co A) on the left. 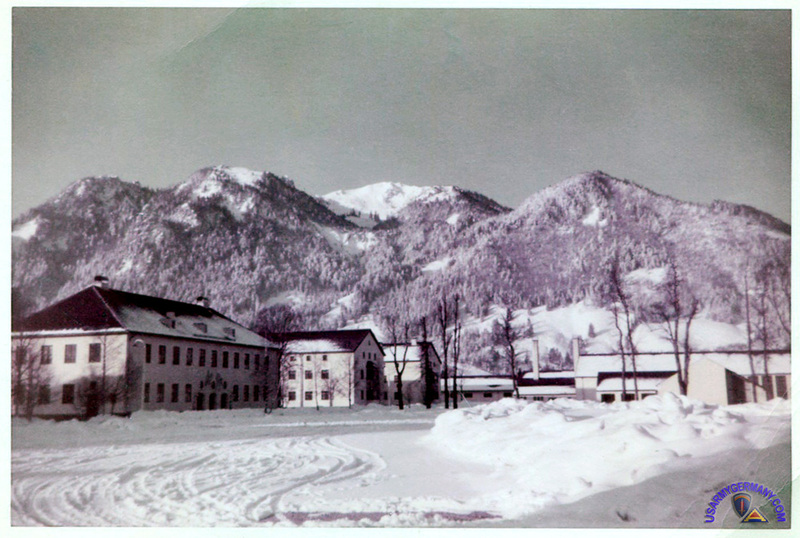 Colors have shifted with age, but still a great photo of the kaserne with the snow-covered mountains in the background.